GLENDALE – Advocates of the man, who was mentored eleven times by a Glendale officer in 2017, posted a new video Monday featuring a report by an officer involved in the incident. of a 2017 incident in which the Glendale Police Department and Johnny Wheatcroft were involved. Wheatcroft was investigated eleven times by officers. Experts called the behavior "sadistic" and "outrageous". 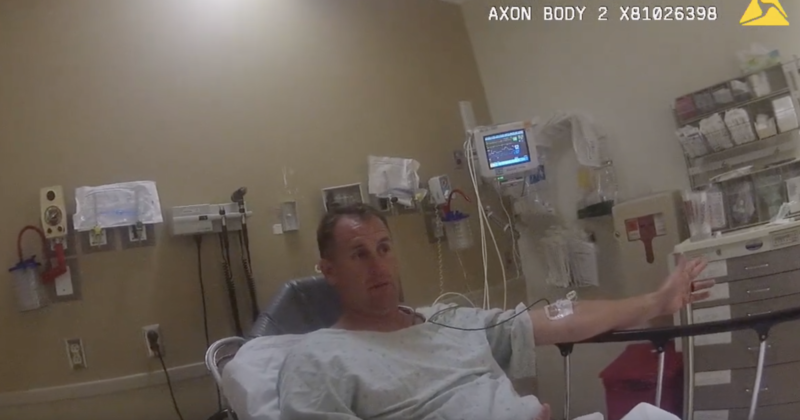 The nearly seven-minute interview video provided by Wheatcroft's lawyers is recorded on a body-mounted camera and shows the official Mark Lindsey in a hospital bed. It starts with laughter and then tells what happened during the traffic stop. He remembers the officer Matt Schneider, who asked the passenger not to pull himself down, to tense up and resist. At one point he sensed that the traffic was going a bit south, and helped Officer Schneider. Then he talks about how a thrown object from the backseat was hit at him, "stunned" him and made him fall back and hit his head. He then says that his vision was dim. relating to the incident shows that the investigator of the department stated that "the subject was compliant and did not resist." Glendale police also wrote, "Mr. Wheatcroft and Ms. Chapman have been charged with their actions for serious assault." However, the district attorney's prosecutor's office dropped all charges against Wheatcroft after considering the case.